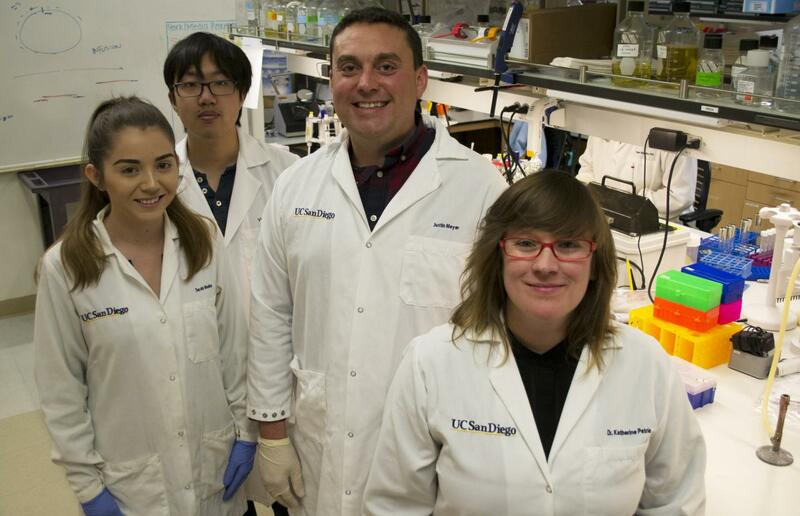 Describing their findings in the March 30 issue of the journal Science, UC San Diego biologists conducted a series of experiments with a bacterial virus and found that it could infect "normal" hosts, as expected, but also–through a process previously unseen in evolution–acquired an ability to infect new host targets. The researchers say their findings, which address longstanding mysteries of how genes acquire new functions and how mutations arise to ease transmission from one host to another, could be applied to investigations of viral diseases such as Zika, Ebola and bird flu. Viruses infect by attaching themselves to molecular receptors on the surface of cells. These receptors are the "locks" that viruses must open to enter cells. The "keys" to the locks are viral proteins called host-recognition proteins. Researchers working in this area have focused on how mutations alter these protein keys–and what changes allow them to access new locks. Scientists have known for years that viruses can gain new keys with relatively few mutations but they have not solved the mysteries of how these mutations first appear. Katherine Petrie in Meyer's laboratory led the project's experiments on lambda, a virus that infects bacteria but not humans and allows broad flexibility in lab testing. The researchers found that lambda overcomes the challenge of using a new receptor by violating a well-accepted rule of molecular biology through which genetic information is translated into a protein–the molecule that makes up living cells and viruses. Petrie and colleagues found that a single gene sometimes yields multiple different proteins. The lambda virus evolved a protein sequence that was prone to structural instability that results in the creation of at least two different host-recognition proteins. Fortunately for the virus–but not its host–these different types of proteins can exploit different locks. In addition to Petrie and Meyer, the study's coauthors include Nathan Palmer, Daniel Johnson, Sarah Medina, Stephanie Yan and Victor Li of UC San Diego and Alita Burmeister of Yale University. Funding for the research was provided by the Earth-Life Science Institute Origins Network (funded by the John Templeton Foundation) and the National Science Foundation.